If you missed our Live and Invest in Colombia Event last month in gorgeous Medellín, you missed a lot. Not only did attendees learn about the amazing lifestyle expats here enjoy, they met experts in residency, banking, legal matters, and real estate. The good news is you can still get an insider’s view into this welcoming country, along with the most attractive options for overseas living, at our Retire Overseas Conference this September. Learn more about our biggest and most comprehensive event here. Back in Medellín, one of our favorite Colombian developers shared two interesting construction opportunities with the crowd. The first is nearing completion with only a few available units remaining and two different investment options on offer, while the second project is just breaking ground and features short-term investment options. I’ll share the details of both projects, but first, here’s a little background information. Why Should You Invest In Colombia? Colombia is home to some of the biggest festivals in the world. It hosts the biggest salsa festival in Cali, one of the largest performing arts celebrations in Bogotá, the world-renowned Flower Festival in Medellín, and the second largest carnaval in Barranquilla—slightly smaller than the carnival hosted by Rio de Janeiro, Brazil. Colombia also boasts the 28th largest economy in the world, with low inflation, good GDP growth, and an expanding middle class, which translates to overall stability. In the past, Colombia struggled with safety and security issues. Today, the World Bank ranks Colombia as the top country in Latin America and the sixth country in the world for investment protection. On a personal note, I can report that the banks in Colombia are so safe, I’ve had trouble paying my bills from my Colombian bank account while traveling abroad because of the strict security measures my Colombian bank uses. 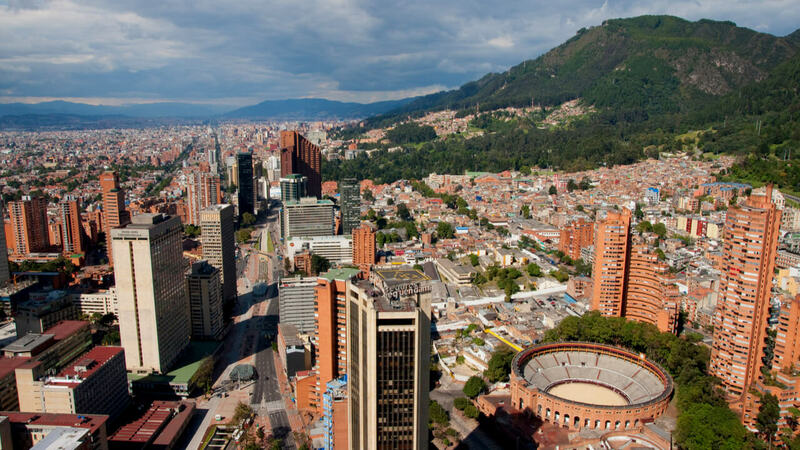 As the fifth largest city in Latin America, the metropolitan area of Bogotá is home to almost 10 million people. It’s the eighth largest Latin American economy and home to the El Dorado International Airport, which ranks first in cargo volume and third in passenger service. Bogotá is also strategically located and you can fly from large cities such as New York, São Paulo, and Mexico City within five hours. Colombia’s economic engine Bogotá supports 113 universities that generate more than 100,000 new graduates every year. Workers aged 17 to 44 make up nearly 70% of the labor market, and they need housing. Due to the stable and diverse economy more than 1,800 multinational companies—whose relocated employees also need a place to live—have established offices in Bogotá. Of the 20 different neighborhoods in Bogotá, this developer is focused on the areas most appropriate for the rising middle class. Colombia categorizes neighborhoods into different economic strata. Stratum six is the wealthiest while stratum one is the poorest. The projects on offer are located in the fourth and fifth strata and will serve the booming working class. Currently, Bogotá is experiencing a housing deficit. Just about one-half of Colombians own their home while the other half rent. The two projects I’m about to describe address both situations and offer different benefits for you, the investor, depending on your interests. I can assure you that this developer is worth your consideration. With more than 70 years of experience completing over 40 projects, this company has a proven track record of excellence. They provide full management for each project, and they also retain at least 50% interest in each project, so they have skin in the game. 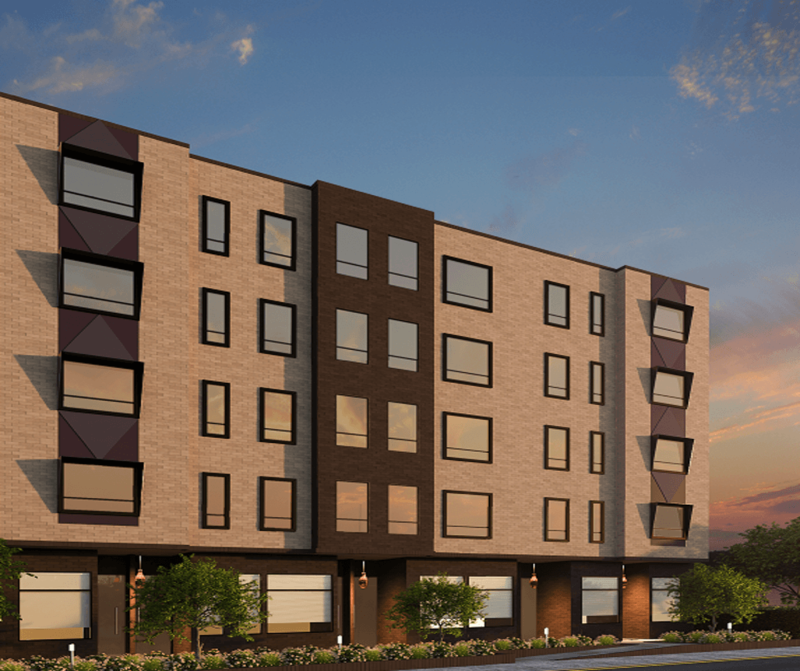 Located near two major roads, this 5-story building offers 40 part-time rental apartments and 7 retail units. Although most of the units have been sold, a few are still available at this time. With two different investment opportunities in this one project, one will suit your needs. The company will furnish, manage, maintain, and market the apartment. You simply receive profits monthly or quarterly, which you can accept in Colombian pesos or U.S. dollars. The property will appreciate in Colombian pesos, providing currency diversification. You receive full title to your brand-new apartment without having to invest in upgrades or remodeling. You can use your apartment as much or as little as you desire. Your investment is the list price of the specific apartment you choose. The investment period depends on how long you want to keep the apartment and receive income. At current rental rates, you can expect an 8% to 10% rental return and 10% appreciation per year. I recommend that you hold onto this investment for at least two years to reduce the capital gains tax impact you may experience upon resale. The second option is to invest for a fixed return outcome. The term is 6 to 18 months with a projected return of 10% to 16% per year. Your initial investment will vary depending on the list price of the unit you choose. 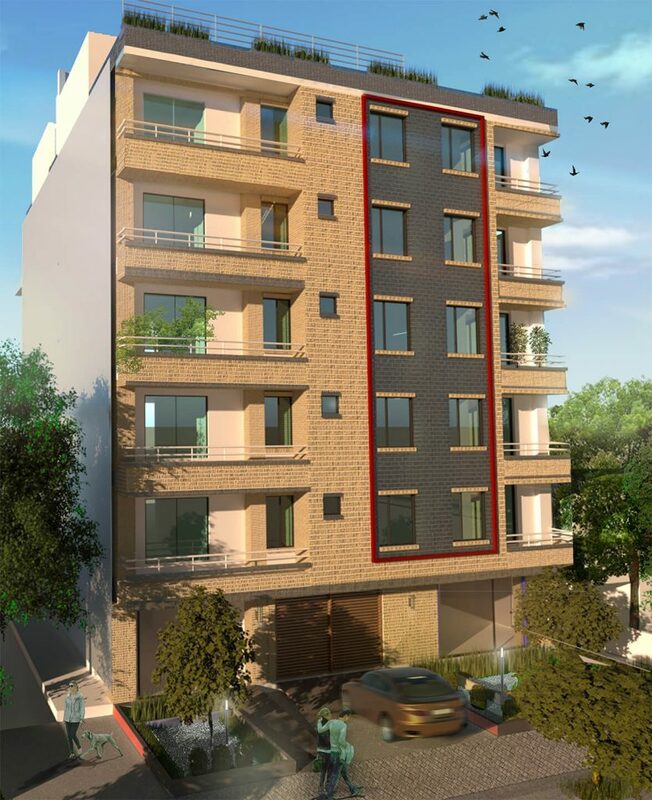 Apartments in this project are available for less than US$100,000. The company will design and furnish your apartment and guarantees that it’ll be unique in comparison to others in the building. As I said before, only a few units remain in Andes 99. The building is slated to be completed and delivered this August, so if you want to take advantage of the pre-construction opportunity, act quickly. This brand-new project has 6 floors but only 15 units. 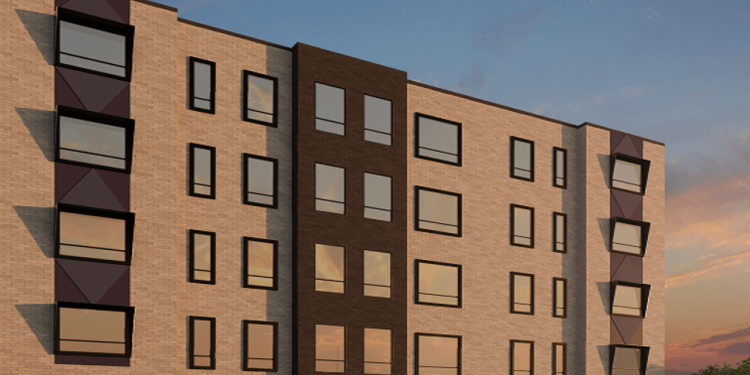 This is a short-term investment, as these apartments will be sold outright because the building is geared toward owner-occupied homes—not short-term rentals. You are basically providing a cash loan for construction with a quick exit once the project is done. The first floor of the building offers a social area with kitchenette and bathroom for owners’ use. The upper five floors have three apartments each; one 1-bedroom unit and two 2-bedroom units. The floor plans range from 41.34 square meters to 76.05 square meters. Each unit comes with a parking space and storage area on site. Your investment is US$50,000 during the investment period, which is expected to last one to two years. The return on this investment is expected to yield 17% per year. For more information about both of these projects, contact our recommended developer here.